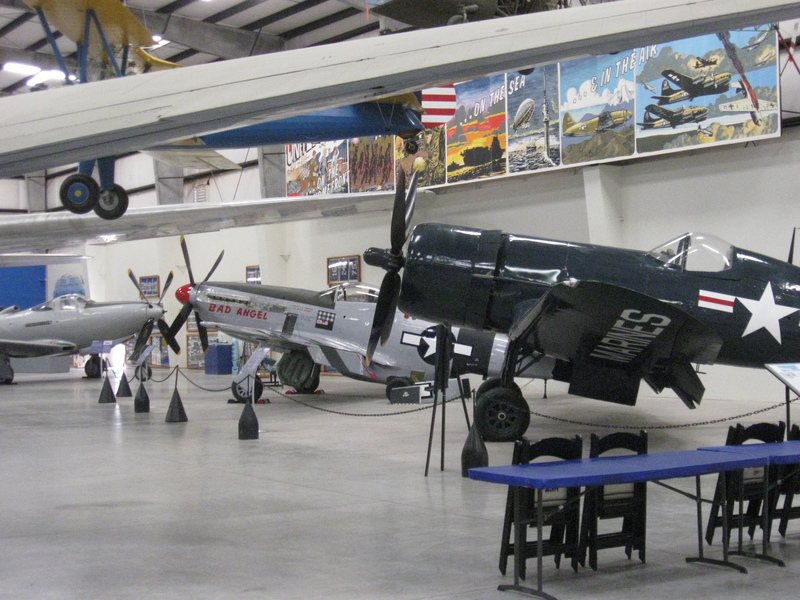 While in Tucson Arizona to attend my niece Jordan’s wedding, Lisa and I stopped at the Pima Air Museum. 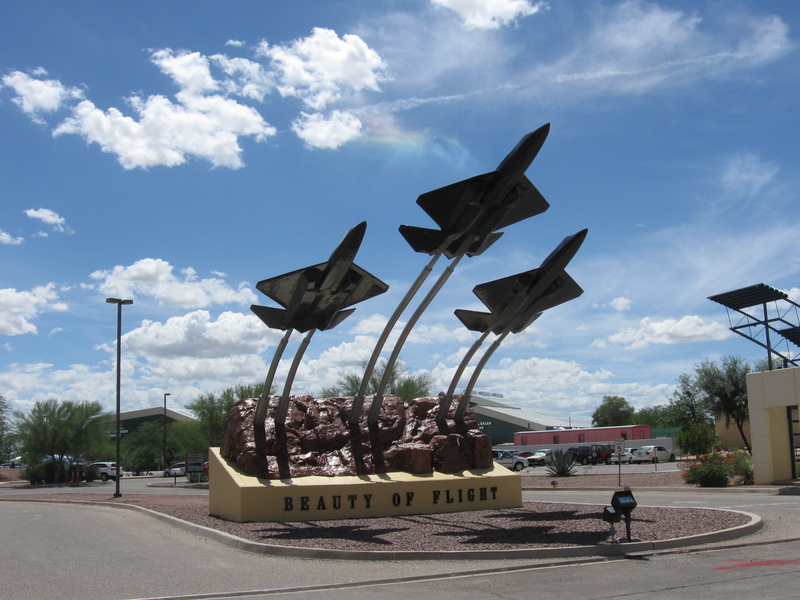 This is in the area of the Air Force base with all of the stored and/or retired military aircraft, known as Davis-Monthan. 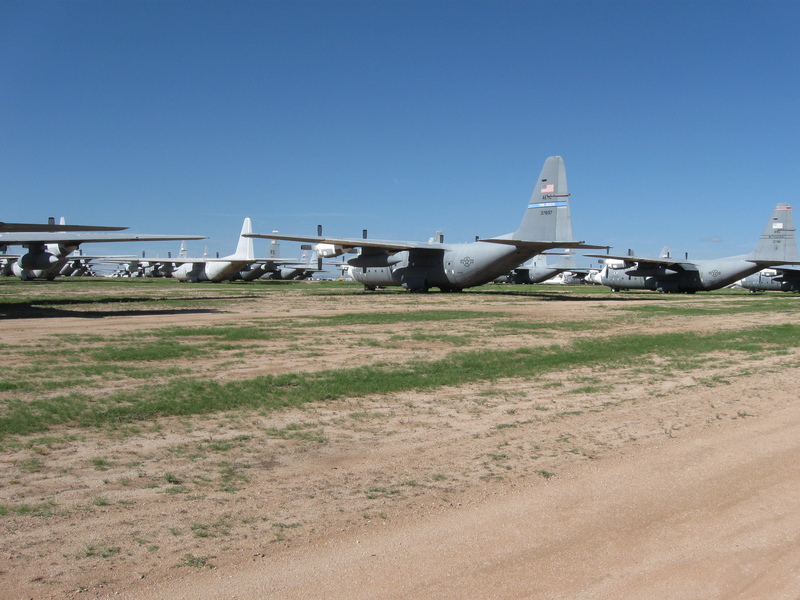 The acres and acres of C-130s, P-3s and F-16s is pretty amazing. When I was a kid my parents took our family on many lengthy vacations, which I couldn’t fully appreciate at the time, and among all of the camping and sight-seeing we stopped at several air museums. There was one plane which I always wanted to see, and another which I read about later and thought would be cool to see in person. The first was the enormous B-36 Peacemaker bomber from late WWII, and the other was the oddly shaped Guppy. The B-36 had six rear-facing propeller engines and four jet engines (on later models), two each, on pods at the wing tips. It was so large that the bomb-bay could contain a small fighter plane called the Gremlin, though I don’t know if they ever tested the concept. It was a small little fighter plane which was dropped out of the plane and then could be retrieved by way of an arresting hook and then pulled back into the bomber. The purpose of building such a large plane was to provide the capability to bomb Germany on flights all the way from America, should we lose a ground invasion and also lose England. It didn’t fly until after the war was over, but was used in service until the late 1950s. 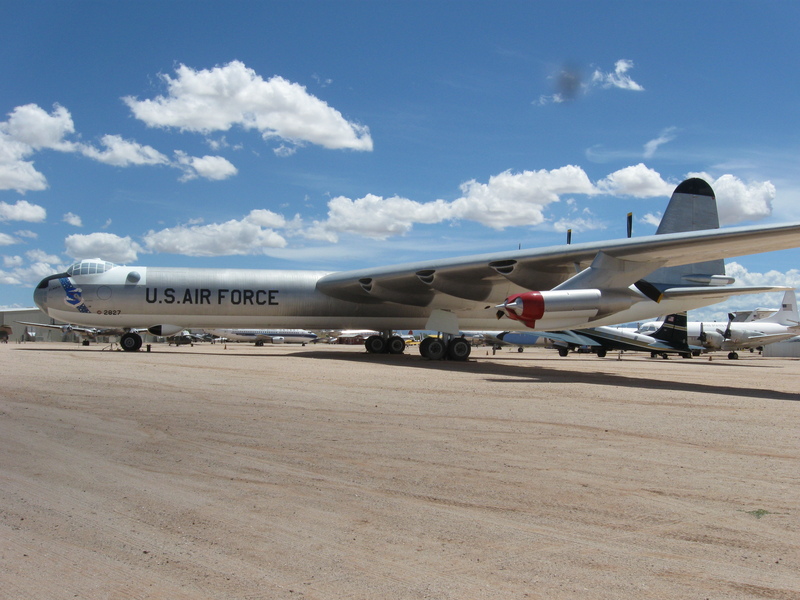 The wiki has a good write-up about this impressive plane which dwarfs the B-29 Superfortress. 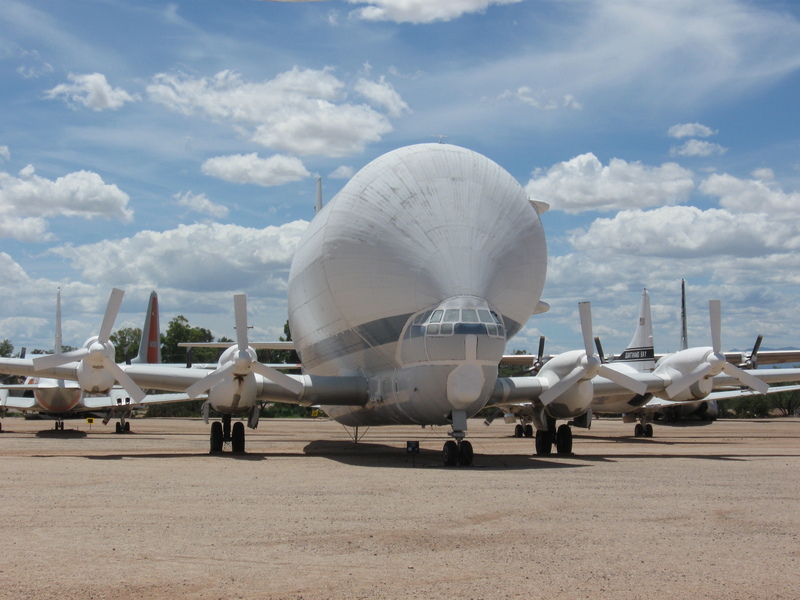 The second plane was the Guppy or Super Guppy. It was a 1950s plane used for hauling unusual cargo, like airplane components around the country. It’s just so weird looking; I just had to see one up close. The museum had the usual assortment of aircraft, like the P-39. I received a P-39 U-Control model plane for my birthday when I was 4 years old, I believe, but it crashed and busted up on the first day never to fly again. Years later I found it in the rafters of the basement and got the old glow-plug Wenco engine running. My father made a machined, aluminum stand for it which we mounted on top of the cab of a Tonka truck. It actually worked, pulling along the truck until it hit some cracks in the sidewalk and flipped over breaking the prop . . . or two . . . or three (basically, until I ran out of props). That experience fueled my later interest in radio-controlled planes. Anyway, other notables were a P51, B24, a couple of B29s and an SR-71. There were a lot of other planes, but too many to list here. I think it was about 100 degrees that August day and with the wedding later that afternoon we only spent about two hours looking around. I hadn’t been to an air museum in quite a while and was glad we took the time to take a check it out. 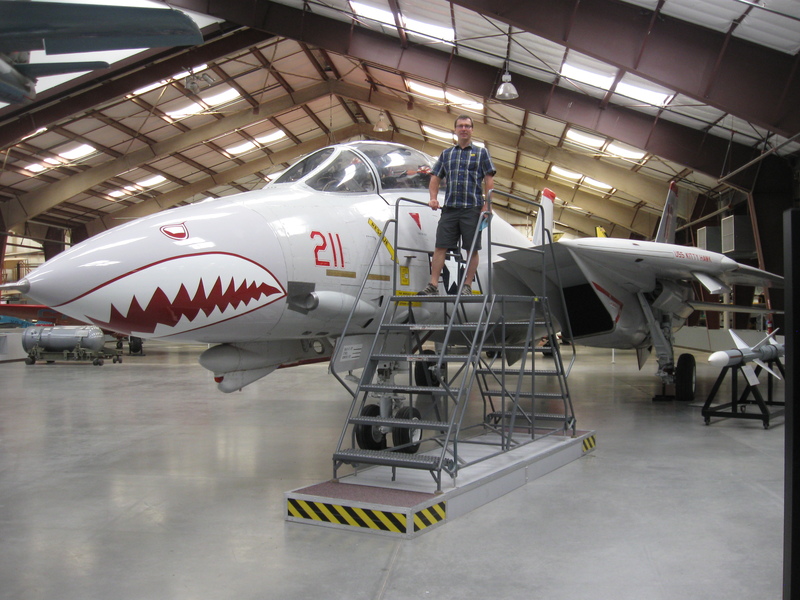 This entry was posted in Colorado Life and tagged Arizona, Military Aircraft.